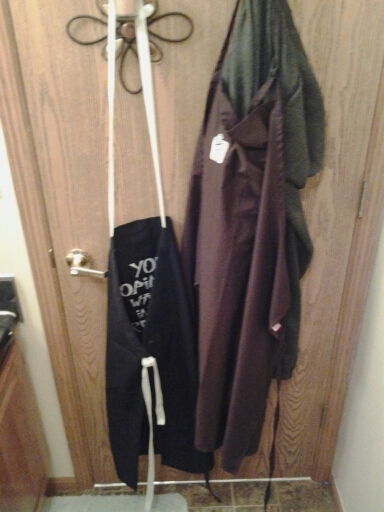 We’re a two apron household. That’s how we roll at 11101. So far this day is going great. I had bacon this morning. I’m also having bacon on my sammich for lunch. I have to work until about 1345 today. It would be 1315. But Frank days we have to take lunch. So that give me about two hours off before I go Dunkin’ Donuts. Have plans with ‘the Mormans’ tomorrow. Me & my roommate Tina was talking about that. NOT Beth. Beth is a server at Crescent Moon & we have the same Birthday Sarah. Other than that I don’t have any firm plans, if you want to do something. Let me know. The word of the day is penultimate which is the next to last. Like today for May.